Click HERE to visit my YouTube Channel where I will be sharing cooking demos and helpful information around health and wellness! Pork fat, commonly known as lard, may have developed a poor reputation in recent years but Carley Smith of Fairy Gutmother, explains why you should give this fat another chance. Then, she demonstrates how to prepare and use lard in your own kitchen. 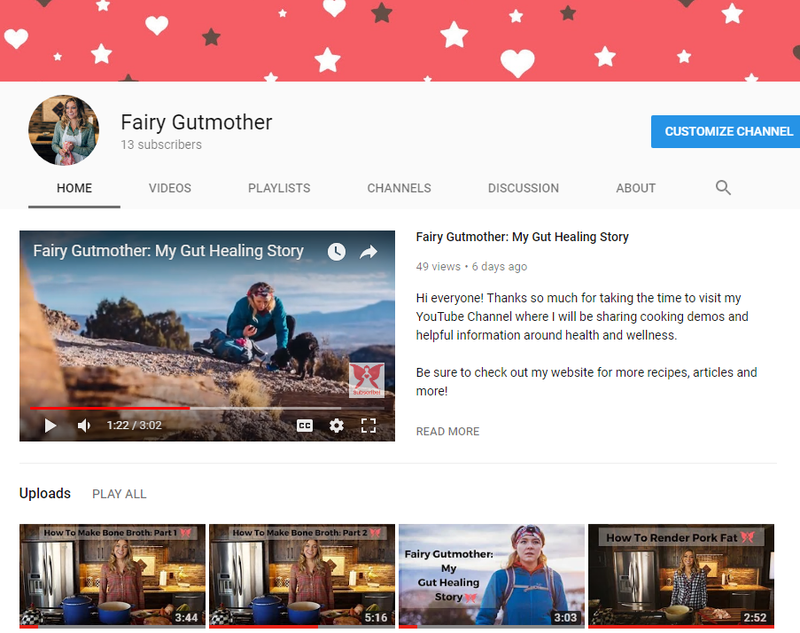 Carley Smith goes by “The Fairy Gutmother” moniker, but the Nutritional Therapy Practitioner isn’t just administering wisdom to make others’ (health) dreams a reality, the Grand Junction, CO woman used these methods herself to turn around her health. Smith, 31, unknowingly contracted Lyme disease, and it, unusually, caused her to have a period for four months straight. Doctors put her on different birth control pills, but eventually they told her to just “go lay in bed with my feet up,” she told WellBe. The constant bleeding led to a bacterial infection in her uterus and she went on a heavy dose of antibiotics. That triggered a flu-like reaction and she started losing cognitive function. A friend suggested she get tested for Lyme, and it came out positive; she was put on antibiotics. Those antibiotics caused her to break out in tiny little bumps; she was put on more antibiotics. Her stomach became swollen; more antibiotics. All week on Daybreak, we've been taking a look at the latest trends in wellness. Watch the video for more information on why we should be monitoring our gut health and the best foods to eat and avoid in order to support optimal gut health. For more information on collaborations, click HERE to download my Media Kit.